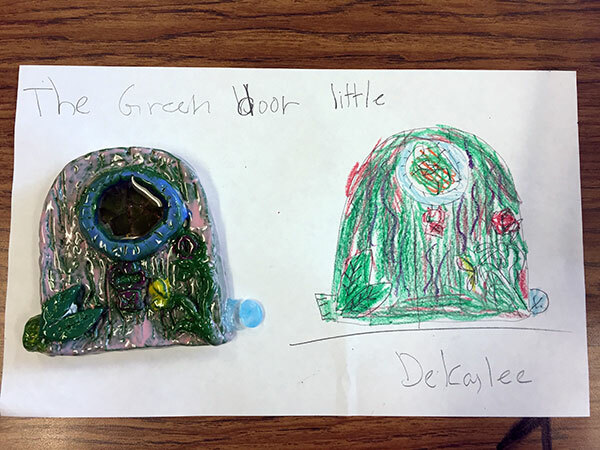 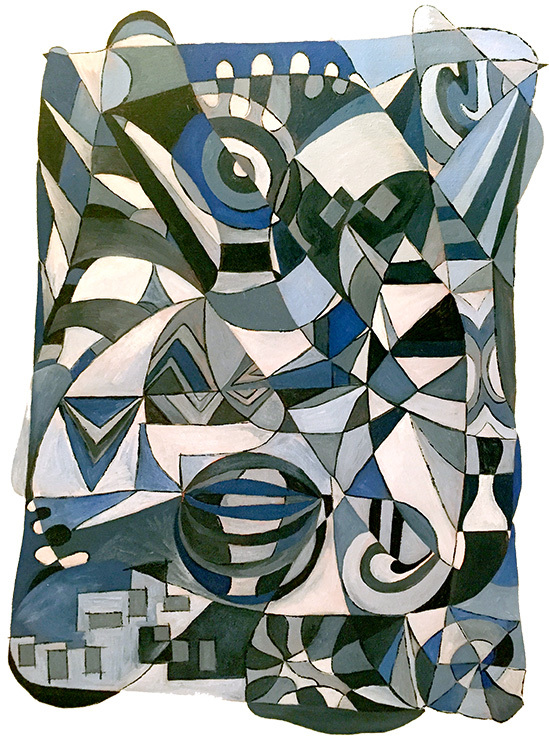 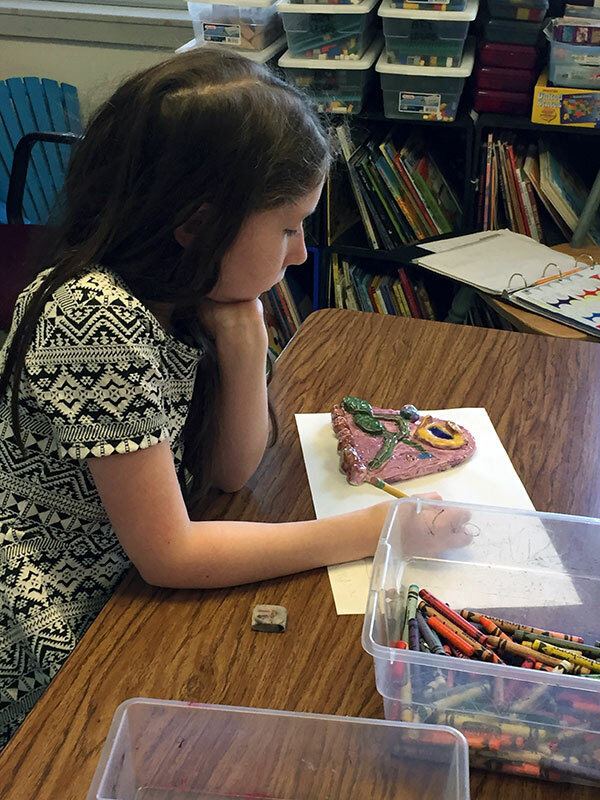 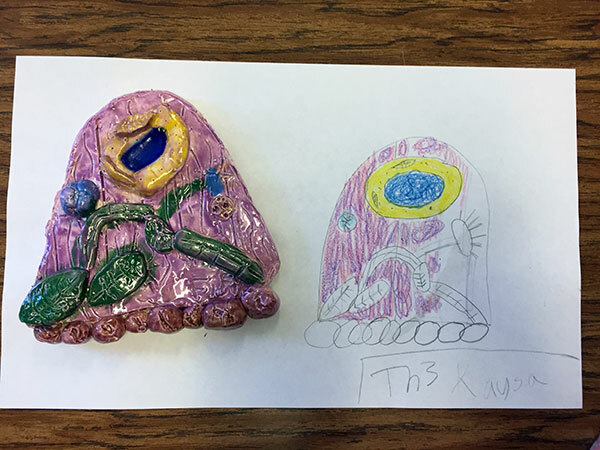 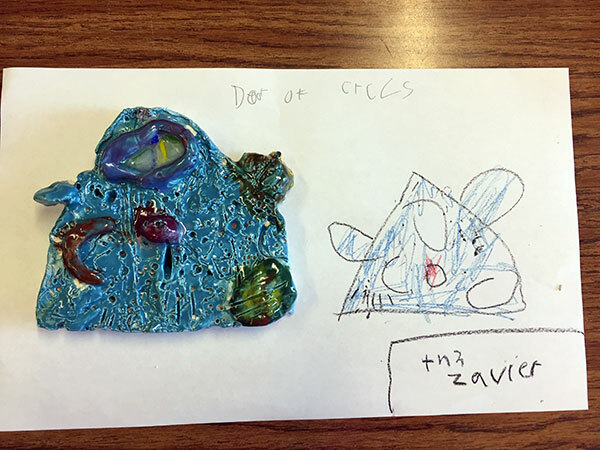 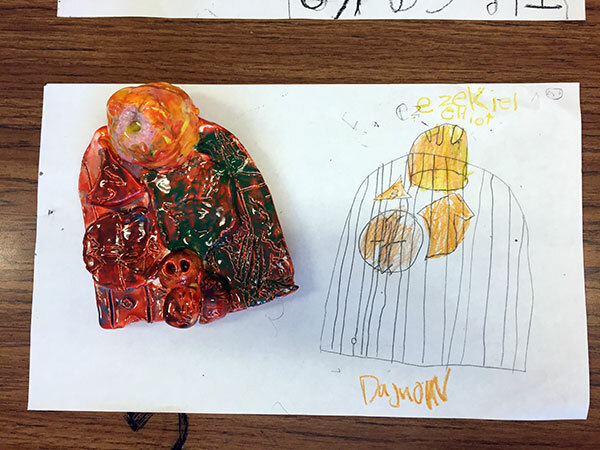 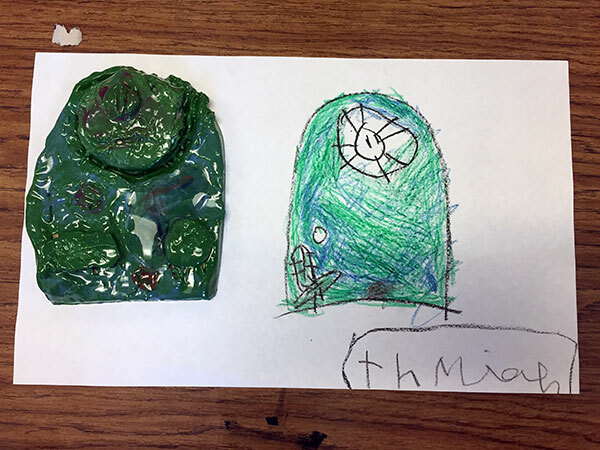 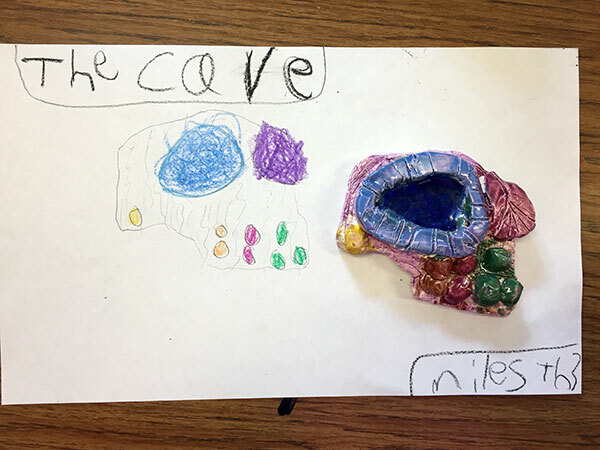 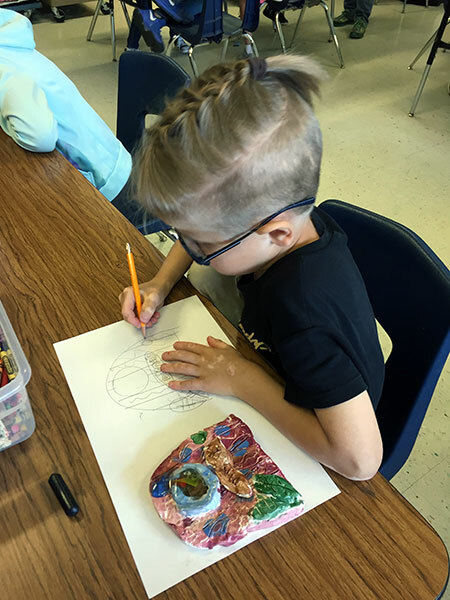 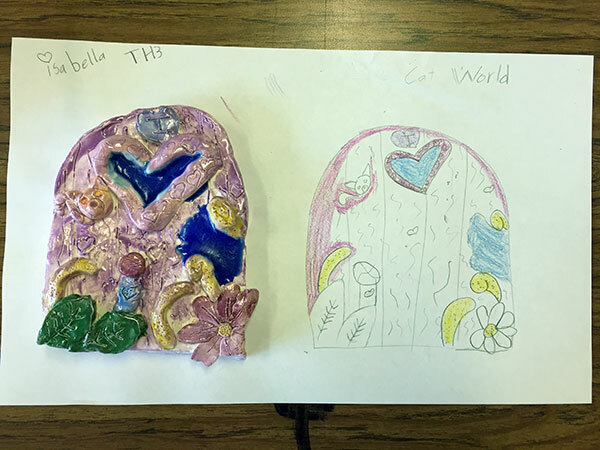 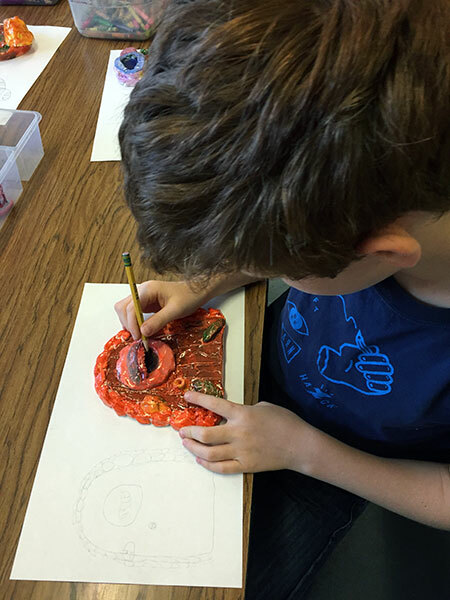 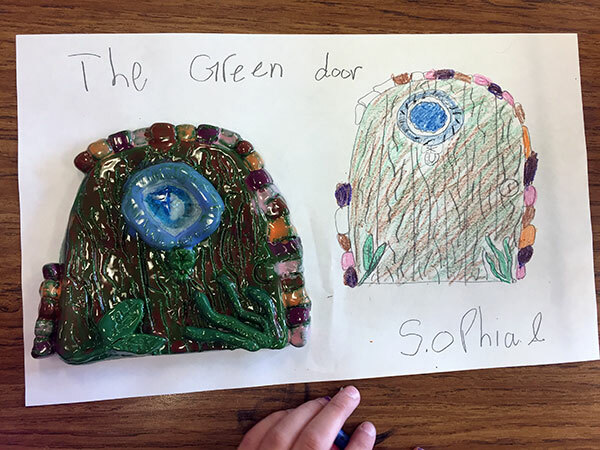 Students made a fantasy garden door, glazed it and chose marbles to melt into a magic portal. 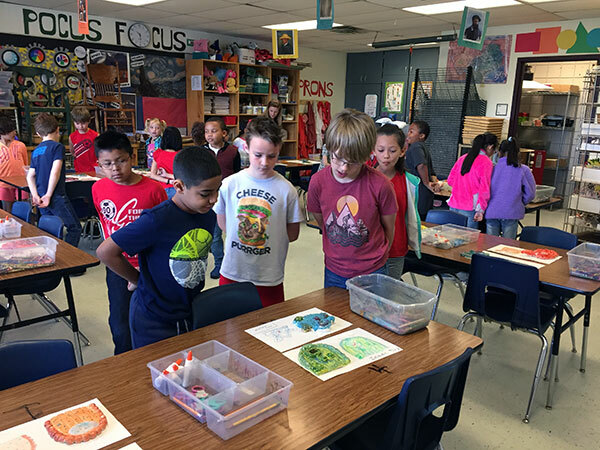 Our critique was a short walk around the class to choose your favorite (not their own). 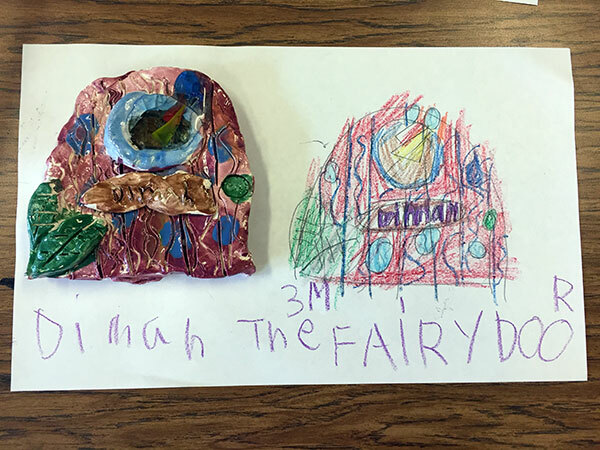 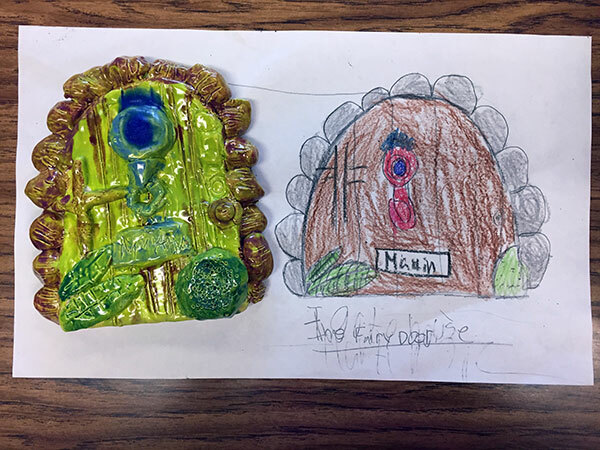 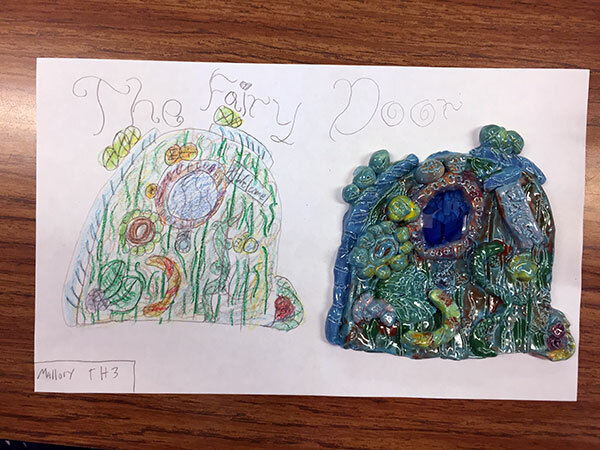 Students that wanted to share gave two reasons for their reaction, using terms learned during the process of making the fairy door.